Campbell Island has no endemic trees, but its shoreline up to about 180 metres in altitude is dominated by two Dracophyllum species, D. longifolium (shown here, at back) and D. scoparium. 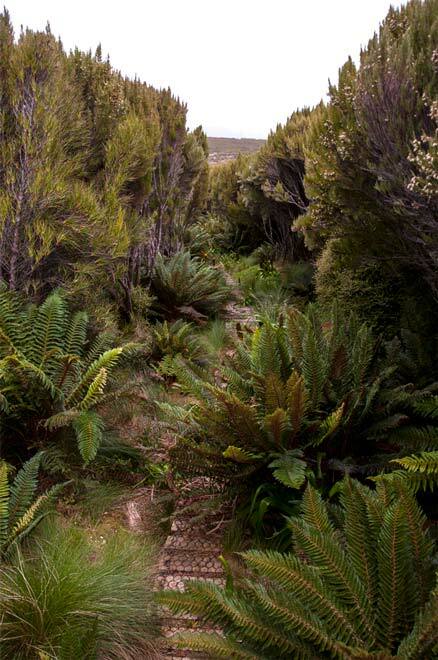 On the ground are Polystichum vestitum, known in New Zealand as prickly shield fern. Both these plants are also found in mainland New Zealand.